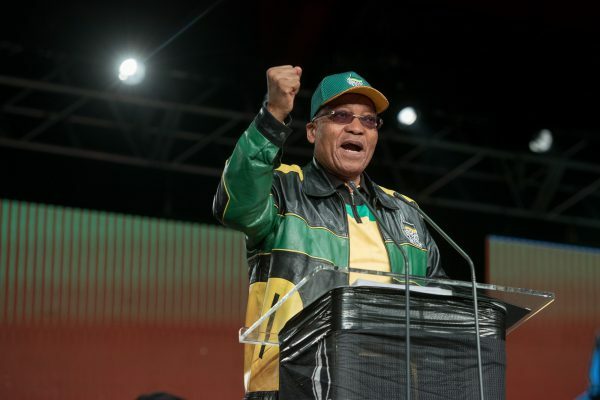 President Jacob Zuma is on the fightback train and has started to release his first arsenal against all his enemies – within the ANC and the opposition. In his opening address at the ANC national policy conference yesterday, he canvassed support from the delegates and at times put down his prepared speech to explain how his enemies were trying to oust him from power, including numerous calls for him to step down, but without success. In a clearly combative mood, Zuma hit back at ANC leaders who aired matters outside, instead of resolving them internally within the party. In a thinly veiled attack on some of his fellow top six officials he did not name, Zuma was scathing as he took them on for spreading negative messages about the organisation. “We need to look at the issue of ill-discipline in various forms, including public utterances attacking the movement by ANC leaders and members instead of handling matters within the organisation and finding constructive solutions. Some members and leaders of the ANC have become primary conveyors of negative information about their own movement,” Zuma said. Early this year, ANC secretary-general Gwede Mantashe, treasurer-general Zweli Mkhize and Deputy President Cyril Ramaphosa publicly criticised Zuma over his Cabinet reshuffle which axed finance minister Pravin Gordhan, his deputy Mcebisi Jonas and several others who were his political opponents. The trio said Zuma did not consult them about the reshuffle. His verbal attack probably also included leaders of ANC allies such as trade union federation Cosatu and the South African Communist Party. The two components of the ANC-led tripartite alliance had called for Zuma to step down while Cosatu was backing Cyril Ramaphosa against Nkosazana Dlamini-Zuma to succeed Zuma as ANC president. None of the Cosatu and SACP leaders attended; neither did the Gauteng ANC leadership, which is known for its anti-Zuma stand. Zuma put the blame for the negative impact on the economy and ANC infighting on his party opponents. With a straight face, he said: “This irresponsible perpetual negative messaging by our own people has a negative impact on the economy. He reserved a strong rebuke for opposition parties who always ran to the courts when they were defeated in parliamentary debates. Zuma urged conference delegates to debate whether they wanted a democracy where people used courts instead of parliamentary processing to challenge government decisions. Zuma, who has been in and out of the courts for all the wrong reasons, thinks the ANC must do something to restrain the opposition from “abusing democracy and the courts”.